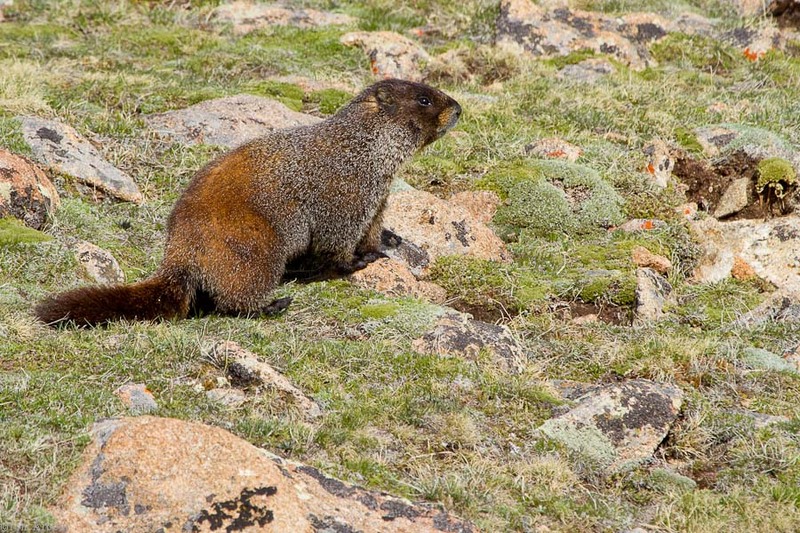 In June 2010, I traveled to Yellowstone National Park and saw most every animal featured in the park brochure except two exceptions- the trumpeter swan, and the yellow-bellied marmot (Marmota flaviventris). 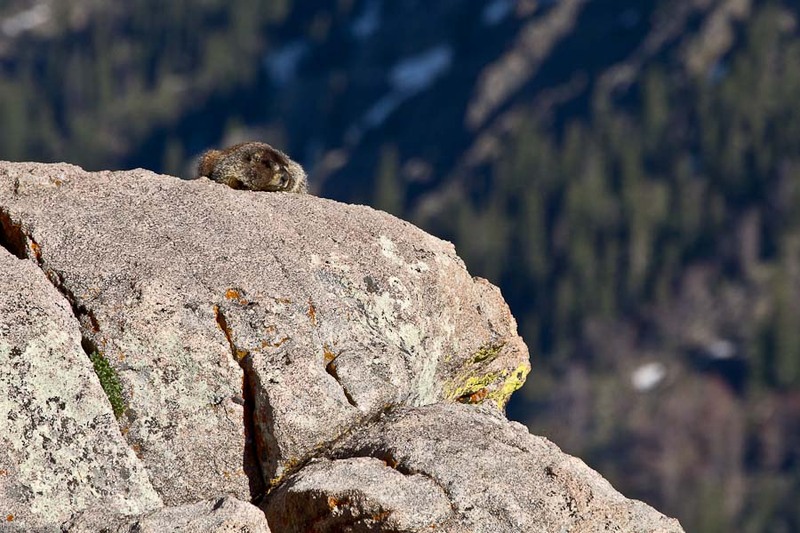 After photographing these curious creatures at Rocky Mountain National Park, I know why. While at Yellowstone, I stayed at low elevations where the elk, bison, and wolves hung out. To see marmots, I needed to be high up on the alpine tundra of the mountains. While driving up trail ridge road, I stopped at the first major parking area, the overlook of forest canyon. It took me a little while to notice that the area was literally crawling with yellow-bellied marmots. 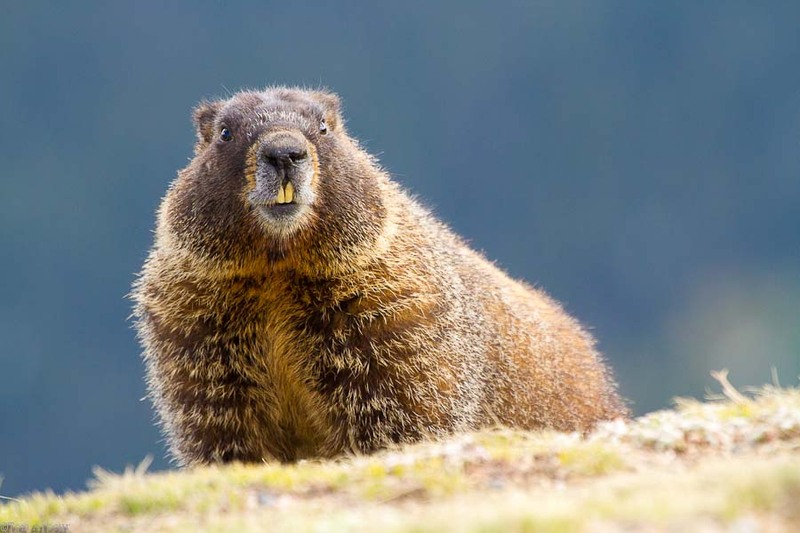 Well acclimated to people, these creatures reminded me of a alpine version of our groundhog. And even more interesting, they loved to lick the rocks that made up the walls of the overlook. One brave marmot even ventured into the walled off area meant to keep the people off the tundra and from falling into the canyon. I had a blast photographing these fascinating, mountain creatures which live in an area that is covered with snow 7-8 months of the year, 11,500 feet above sea level. 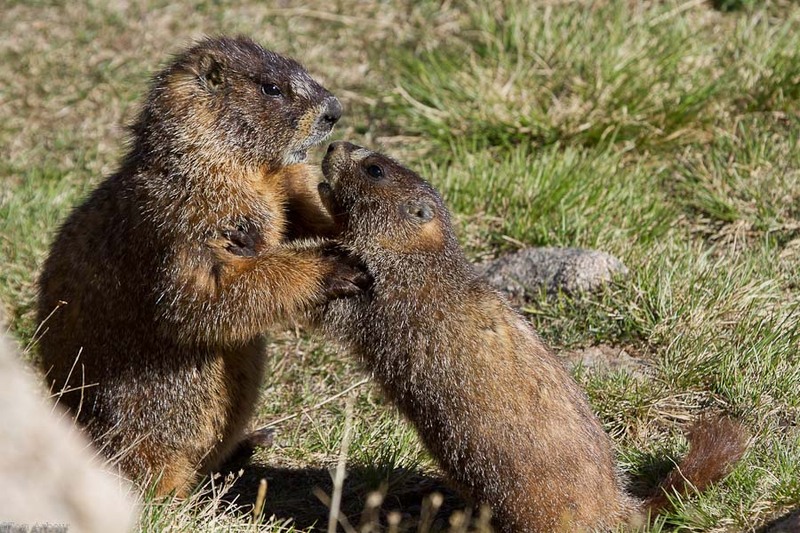 Tomorrow, I'll share photos of the amazing liliputian flowers of the alpine tundra that these marmots most likely call food. During July 2011, I'm writing about my late June trip to Rocky Mountain National Park. I hope you enjoy this brief swing to the western U.S.
Labels: colorado, marmot, rocky mountain national park. these are fantastic, such cute critters. Thanks Dan! I tried to present an overview of the different behaviors that I observed- these creatures were really fascinating to watch. Love the new header photo. This is such an educational site for my kids. Thank you for all your hard work. Thanks Mary- I appreciate your appreciation! 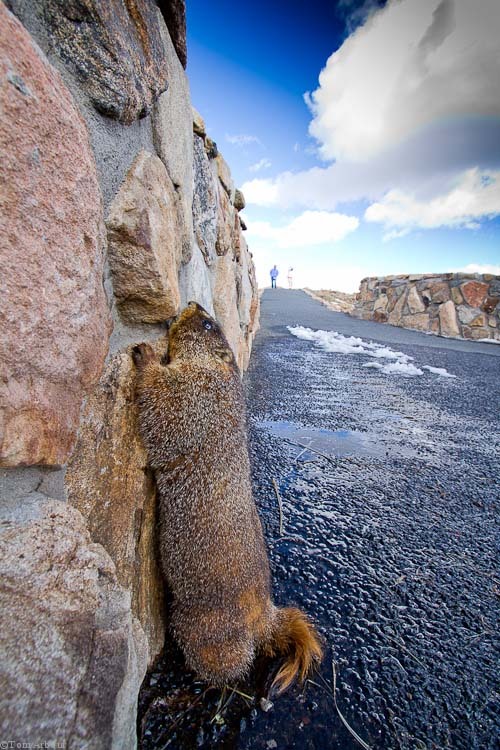 Too funny, I saw the marmots licking the wall at EXACTLY the same place! 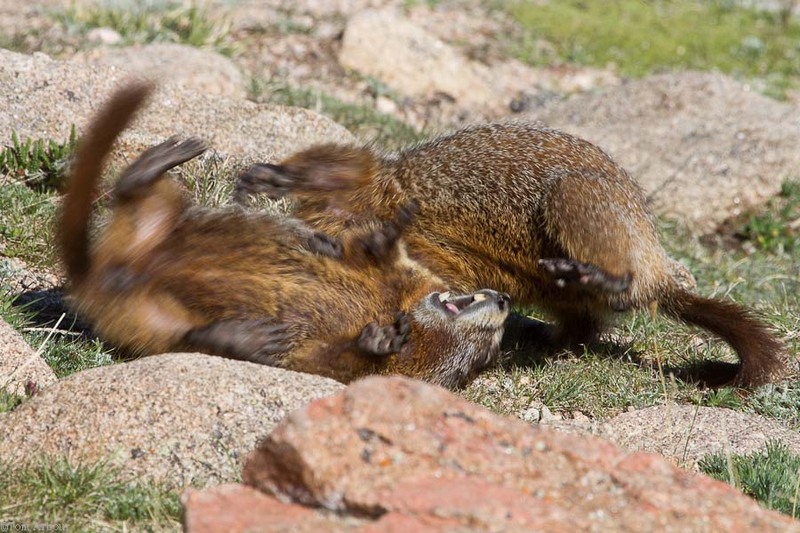 We also saw a couple, erm, making more marmots. I don't have a blog post about these but I do have one on pikas (should be up tomorrow). 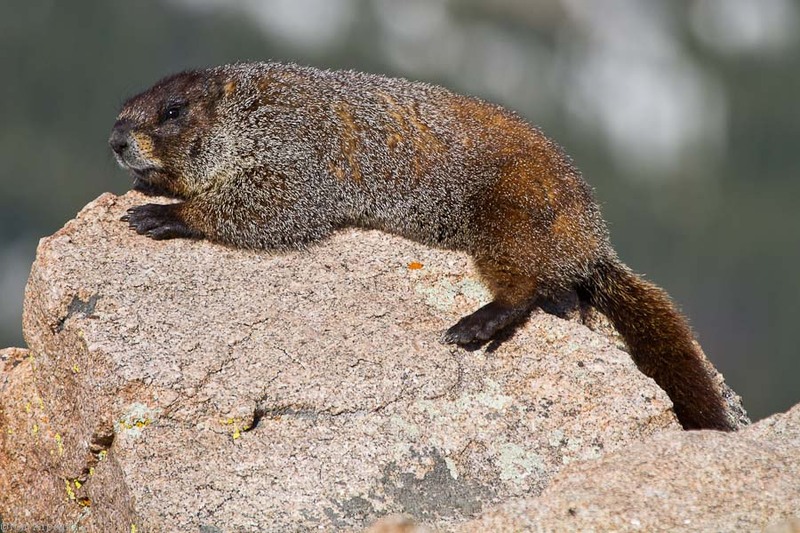 I love the photo of the marmot (if that's what it is) climbing up the walled. Great perspective from the animals point of view! Thank you Liz- Yes, it is most definitely a marmot. I was photographing this particular one with an extreme wide angle lens- I wanted to get as close to the animal as possible- I know the perspective of the lens makes it seem like I wasn't all that close, but for a few moments I thought the marmot was going to bite the lens off with its huge teeth. I was really close- I surprised many of the park visitors. Thank you for visiting, commenting, and following!